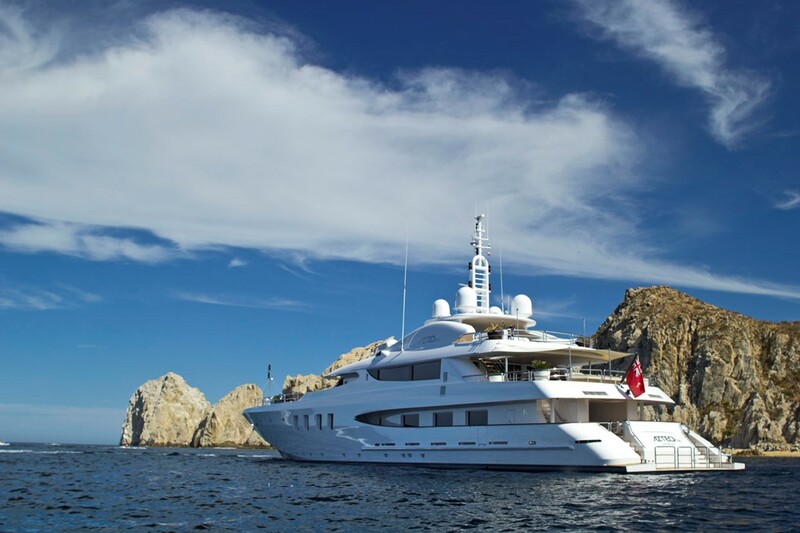 Luxury mega yacht AZTECA II (ex Azteca, Thetis) is a 49.68m (163’) motor yacht built by the Turkey shipyard Nereids Yachts in 2005. 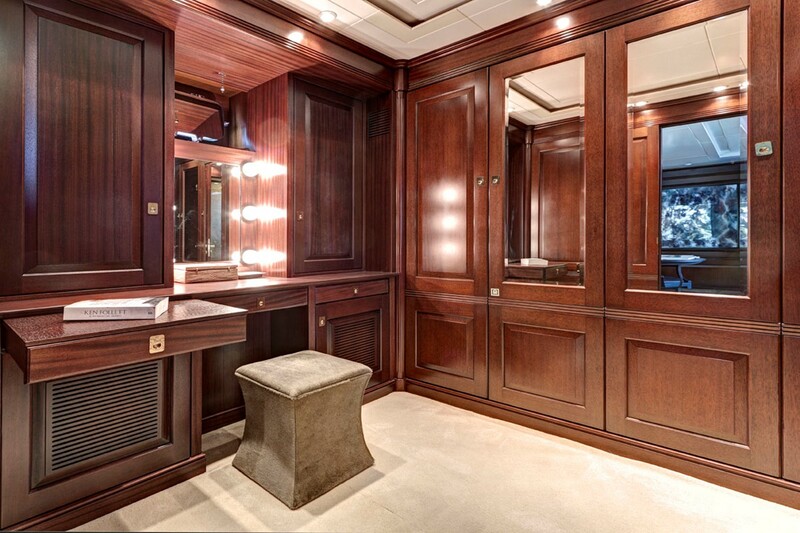 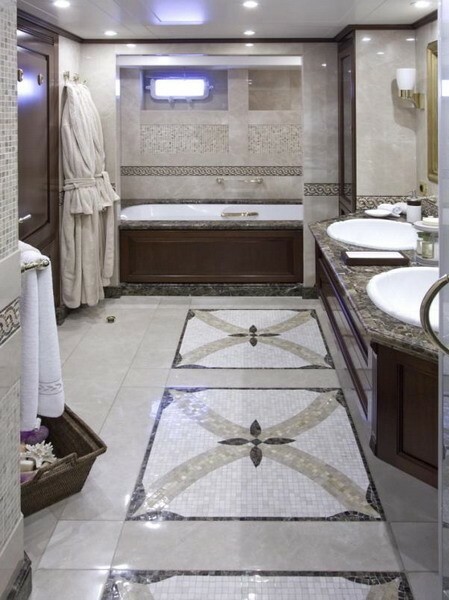 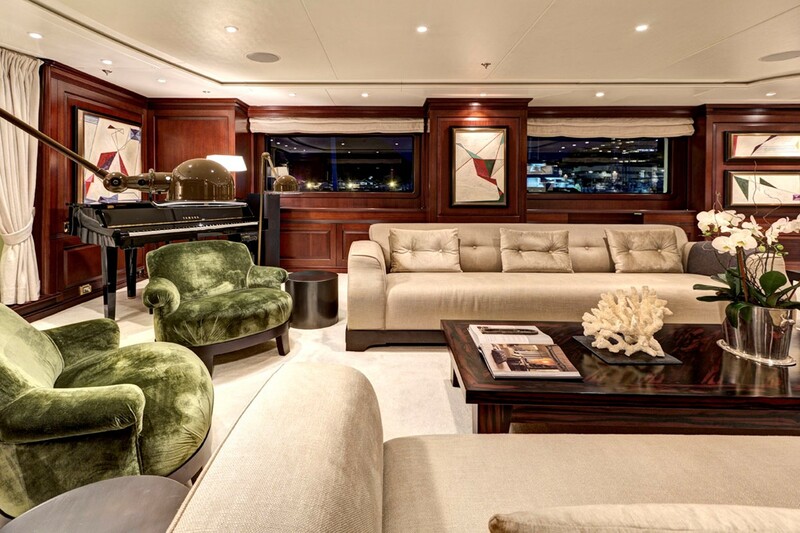 She features a beautiful interior designed by Michael Leach Design. 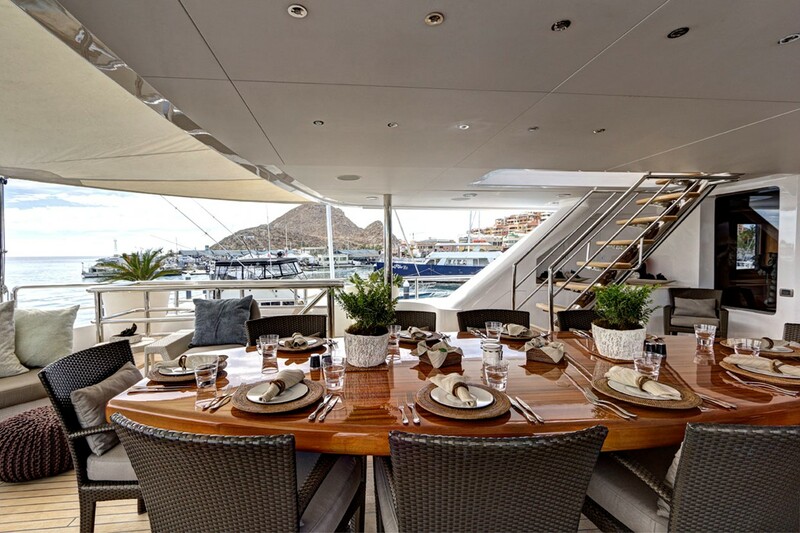 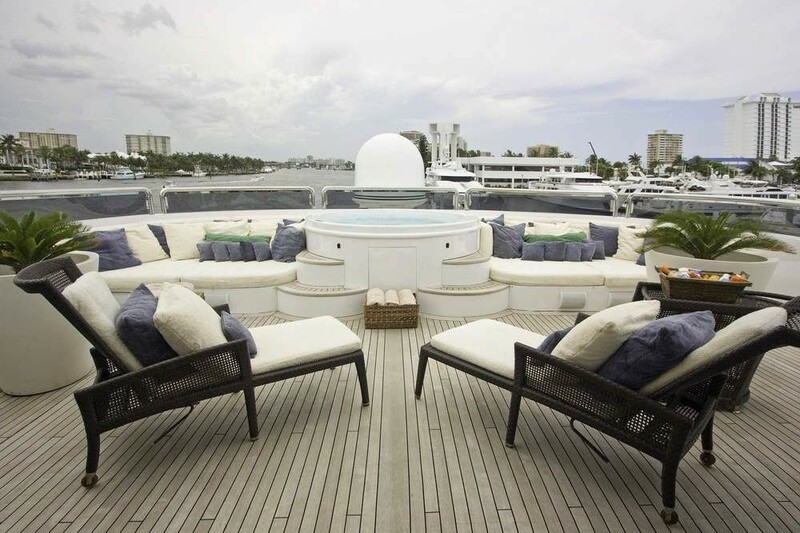 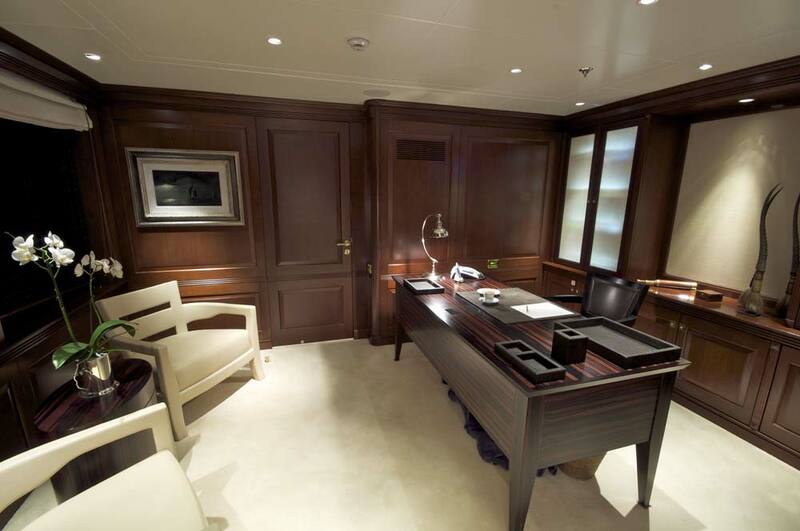 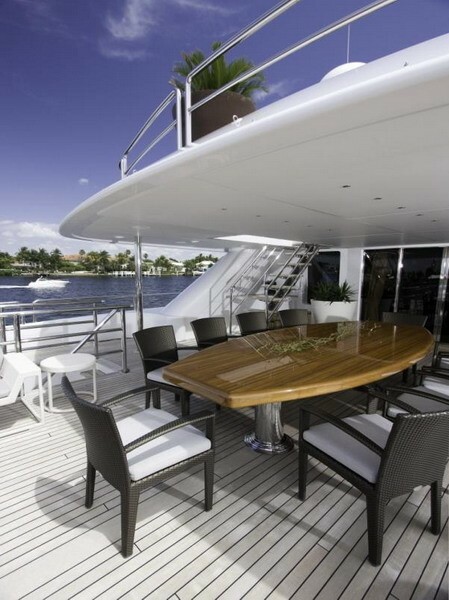 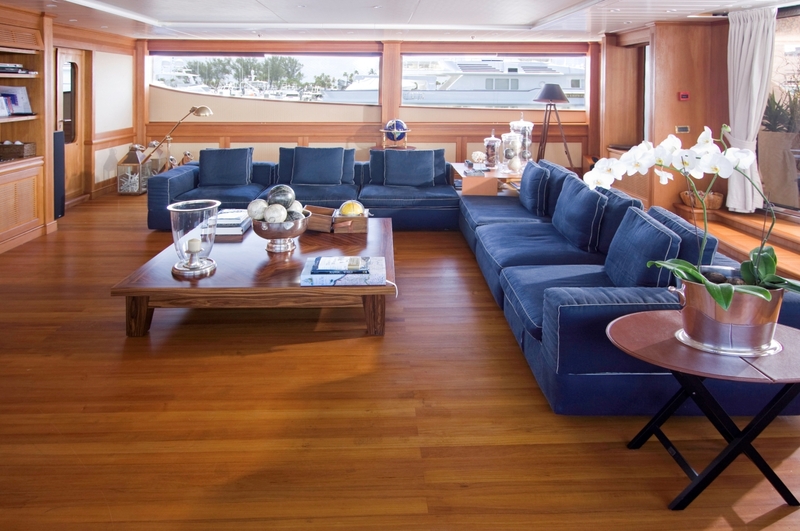 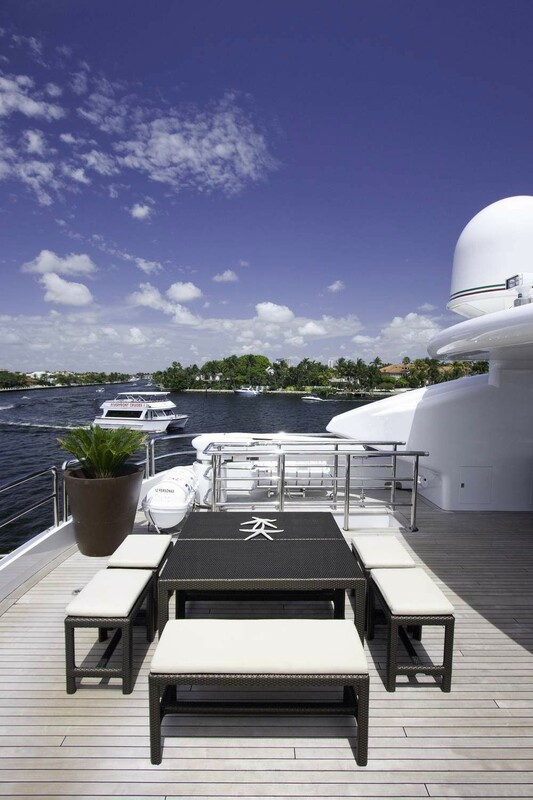 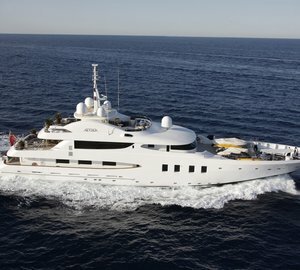 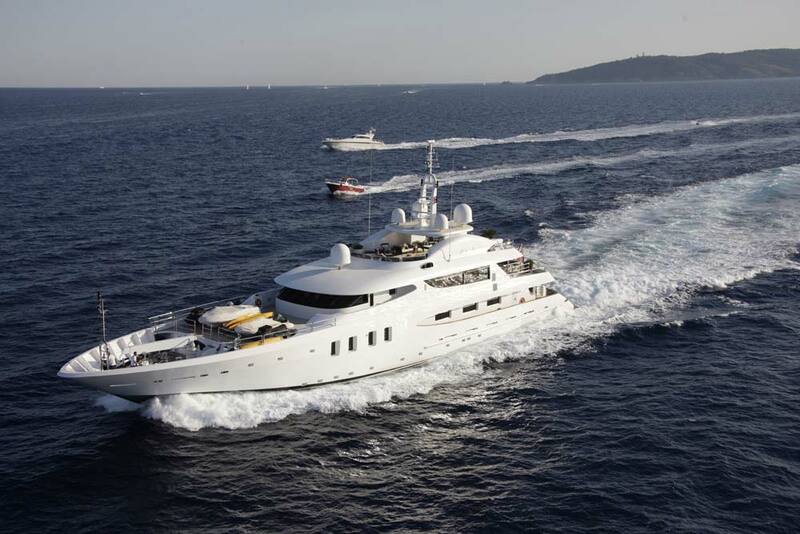 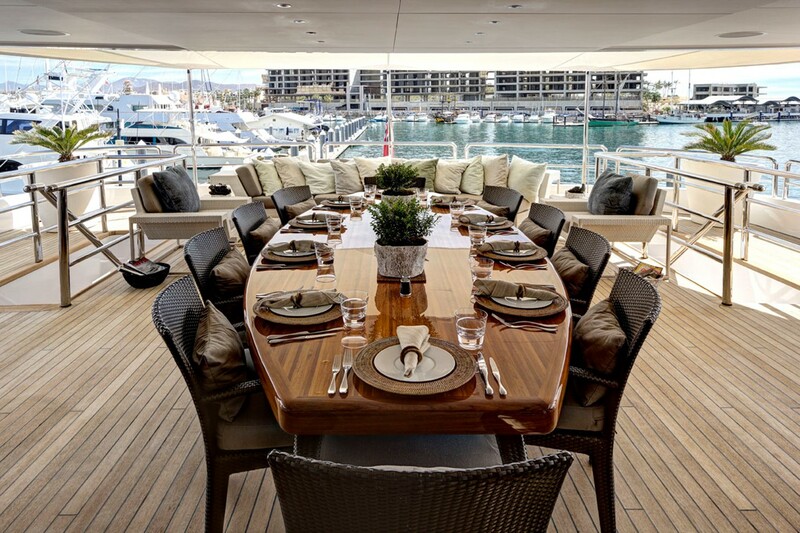 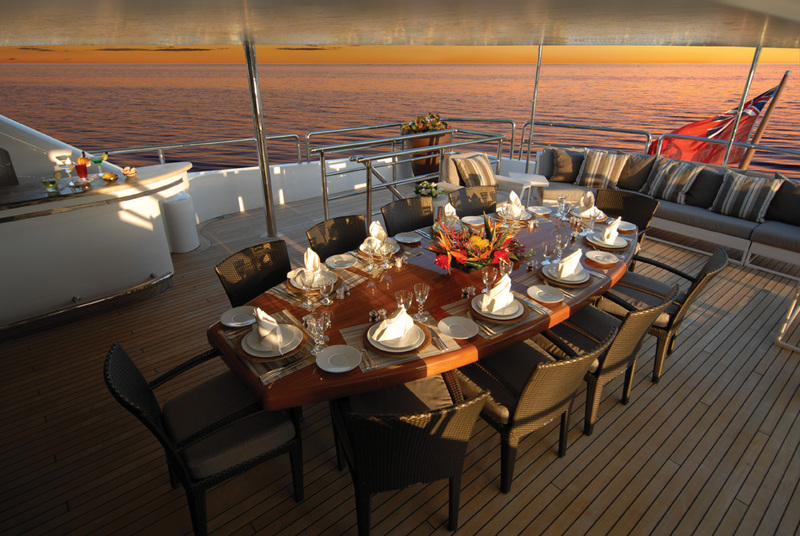 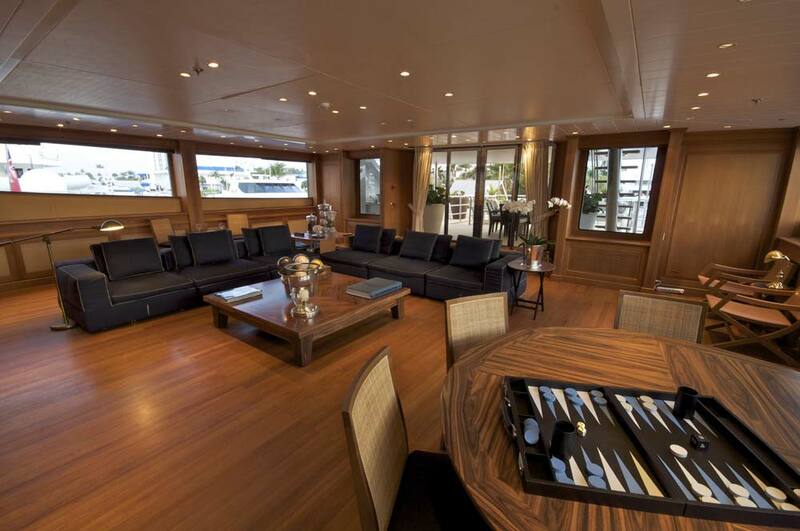 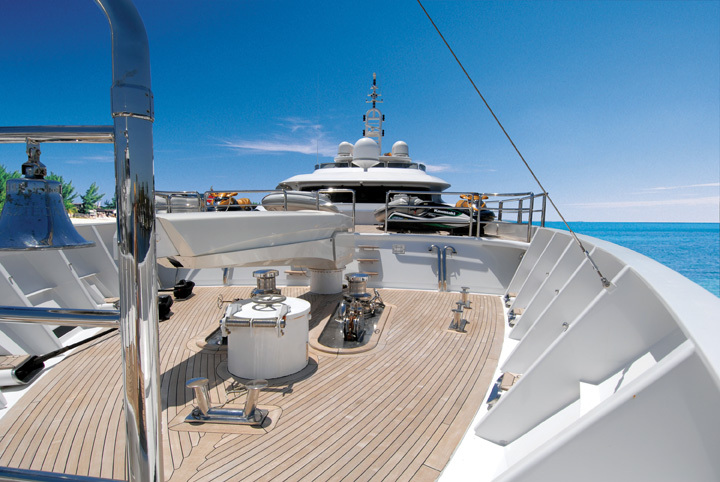 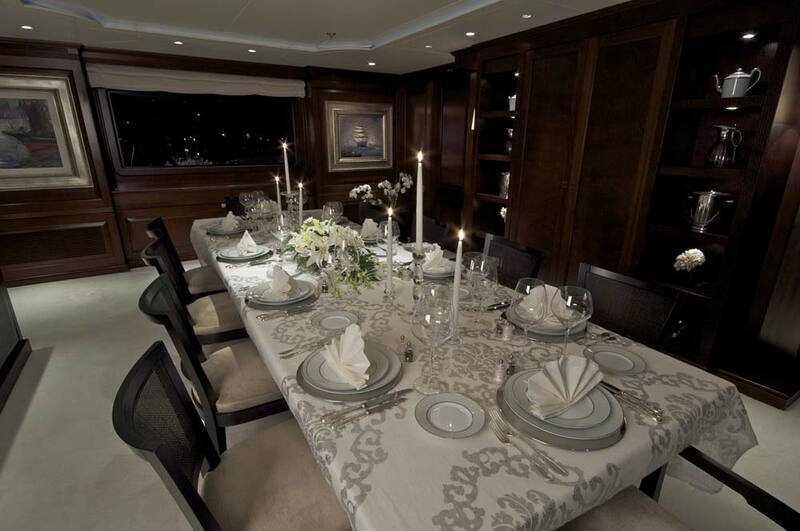 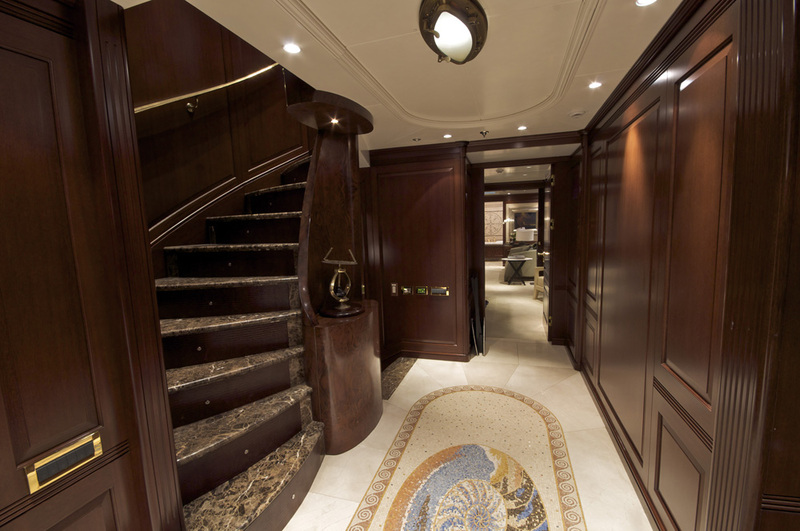 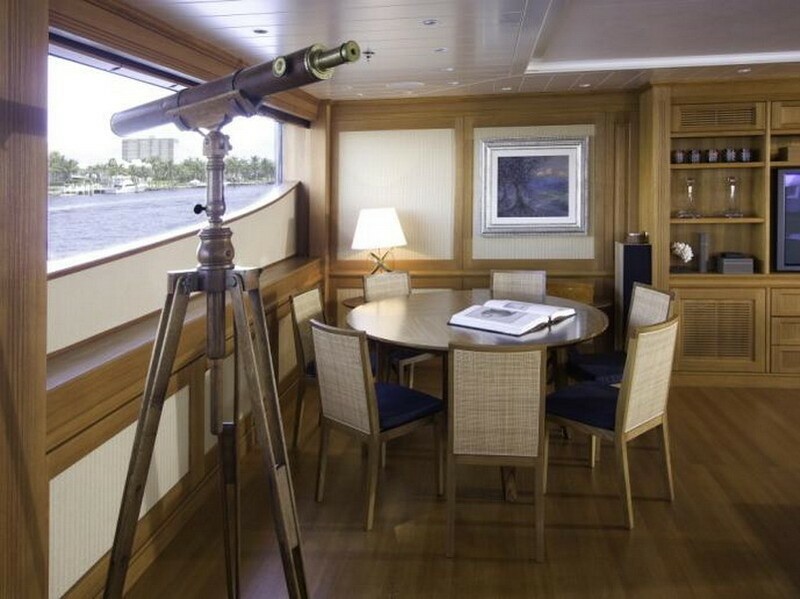 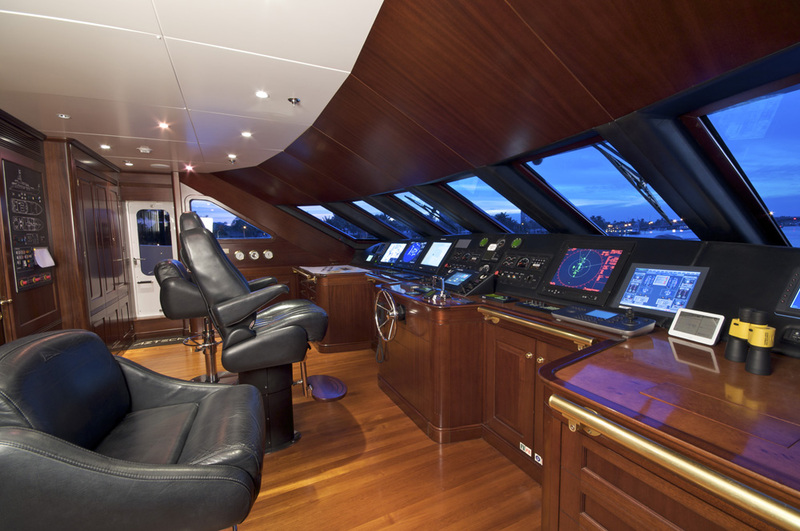 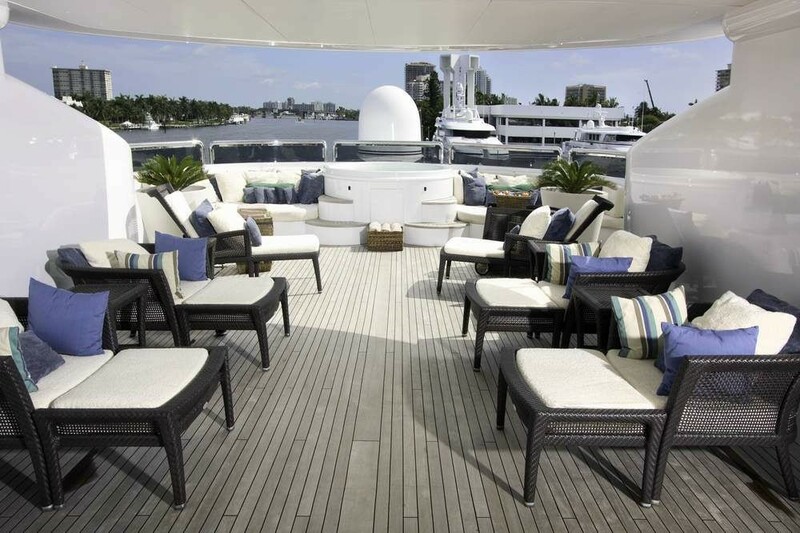 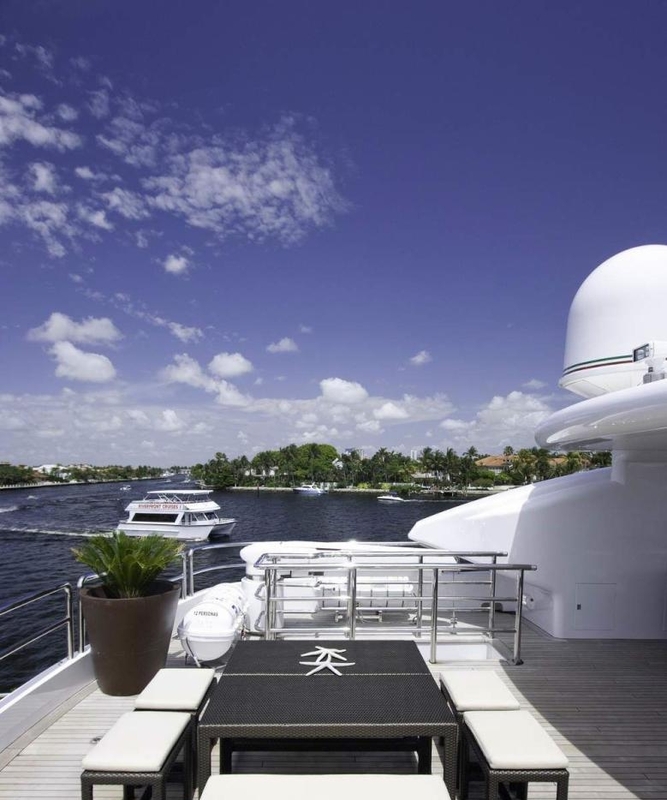 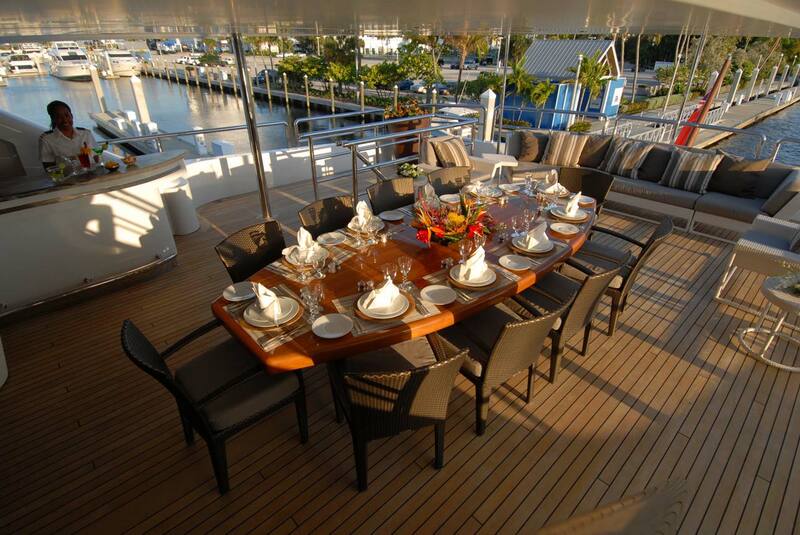 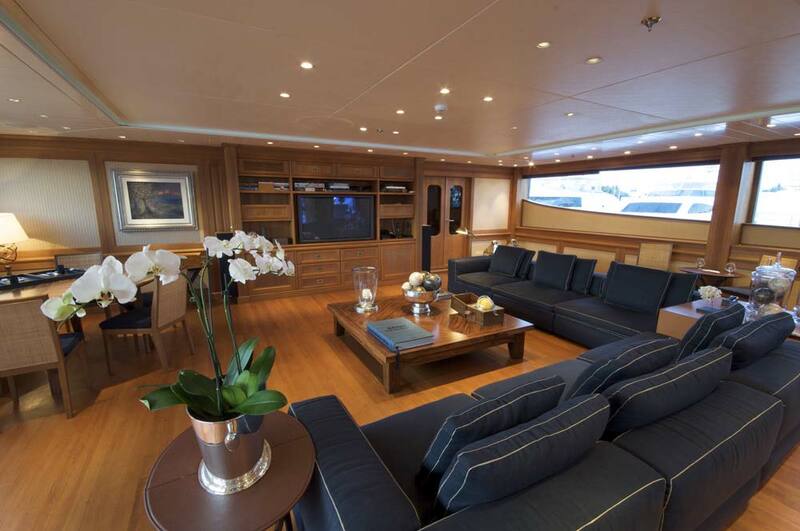 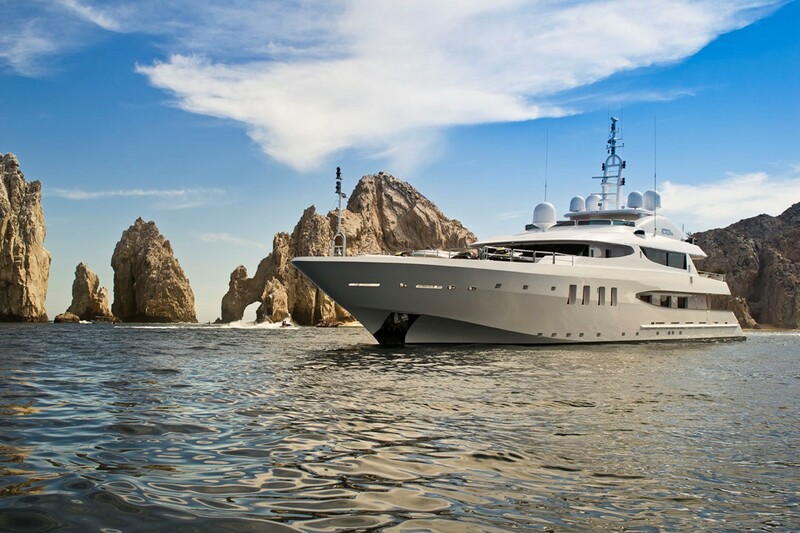 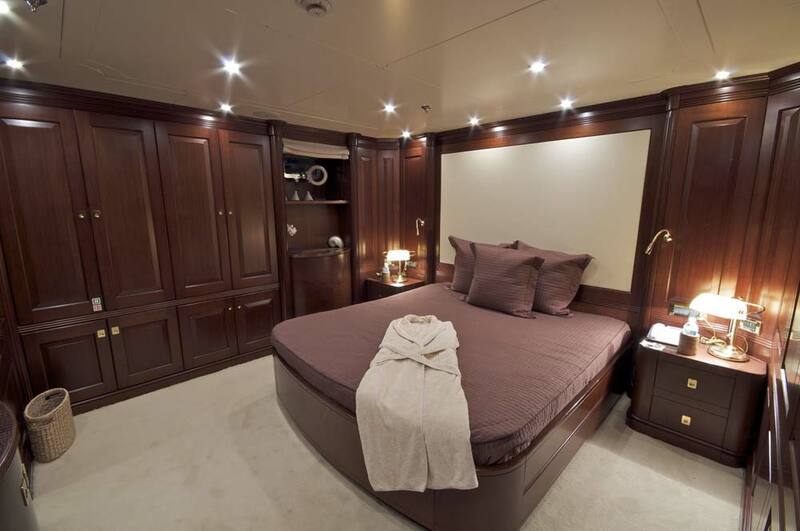 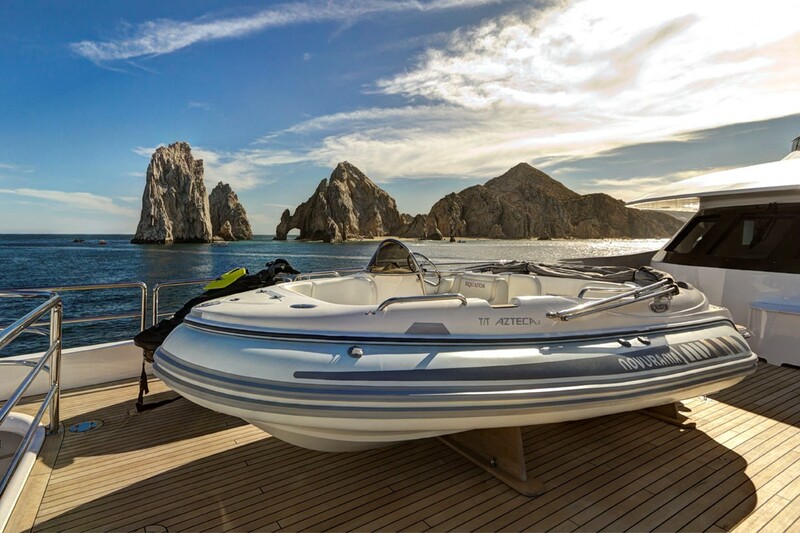 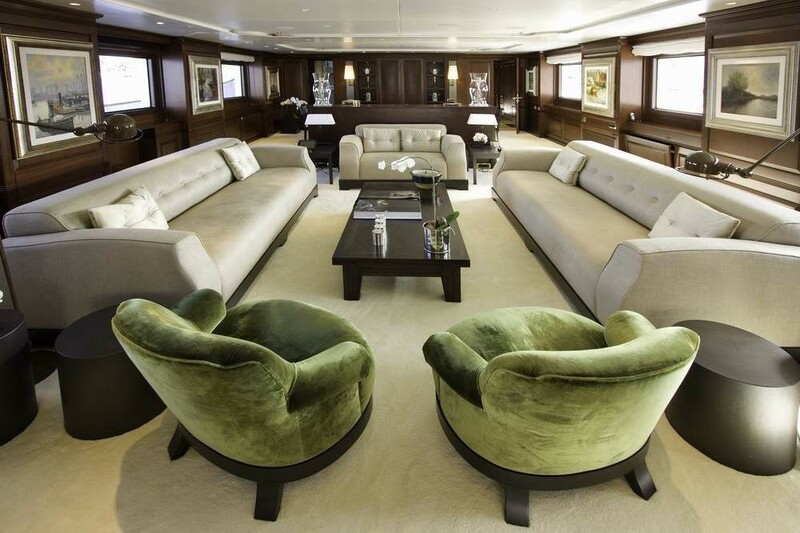 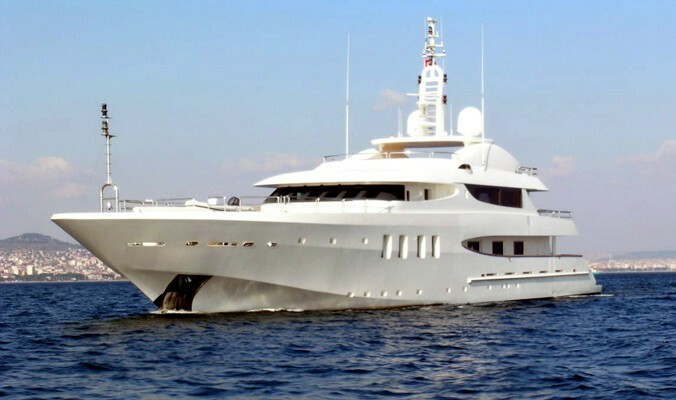 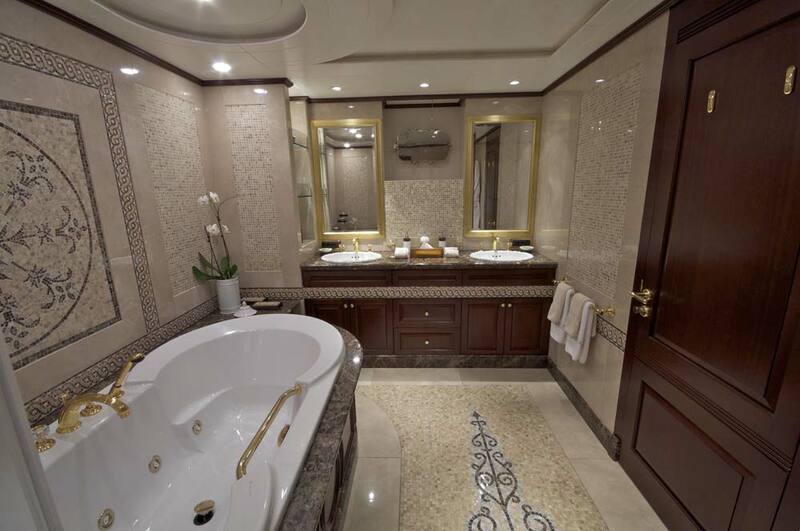 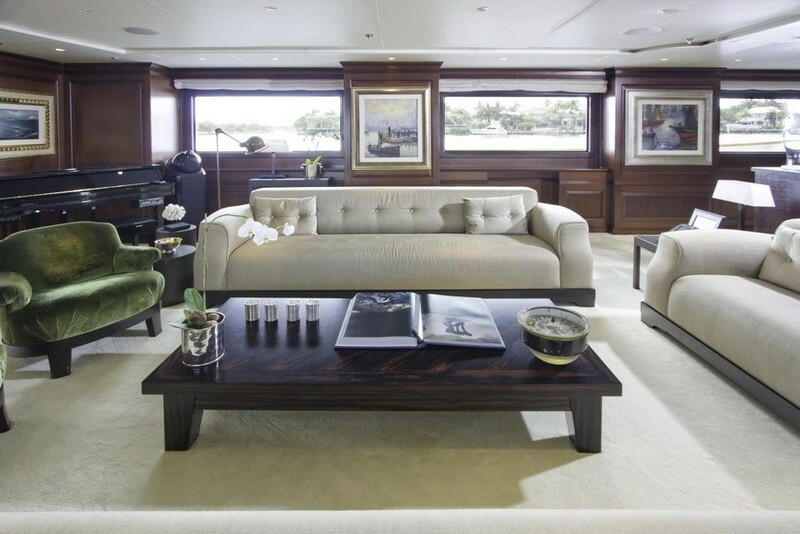 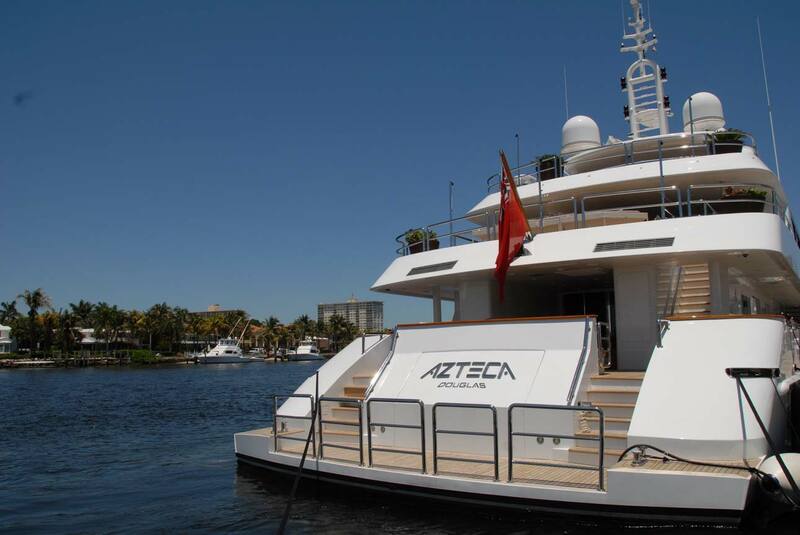 Refited in 2013, motor yacht AZTECA II has been well-maintained and kept in great condition. 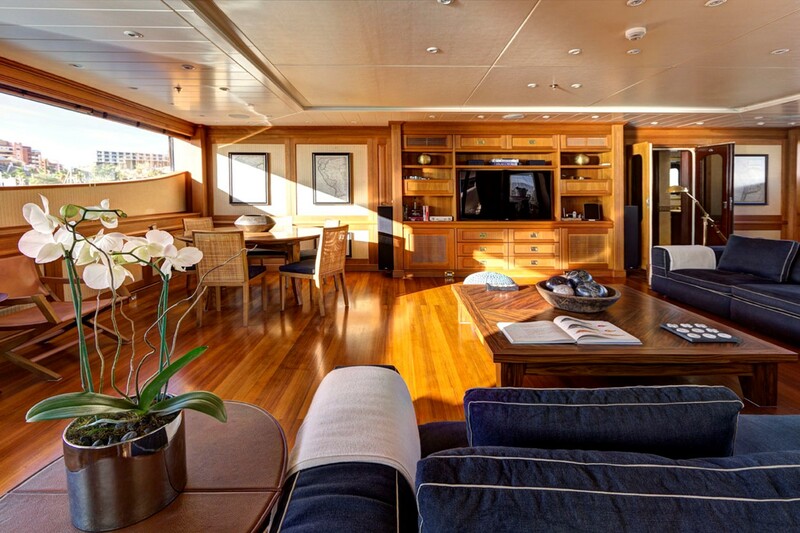 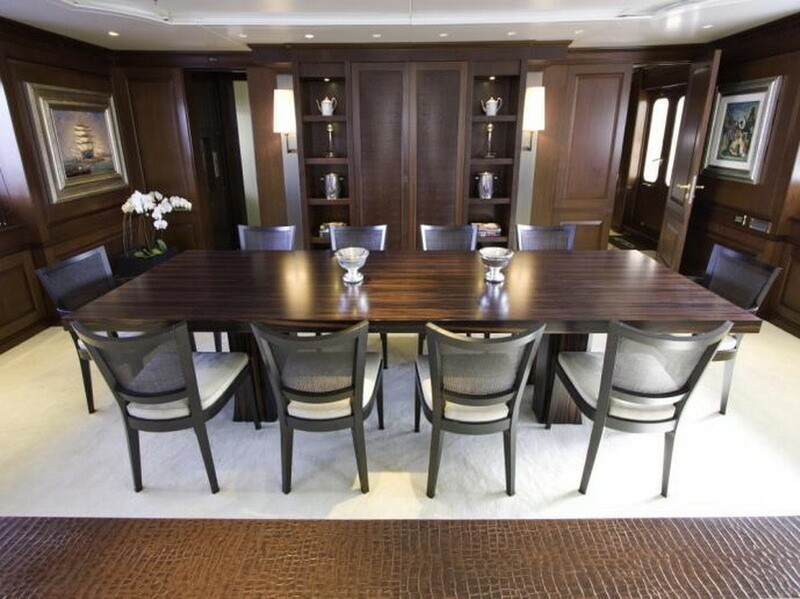 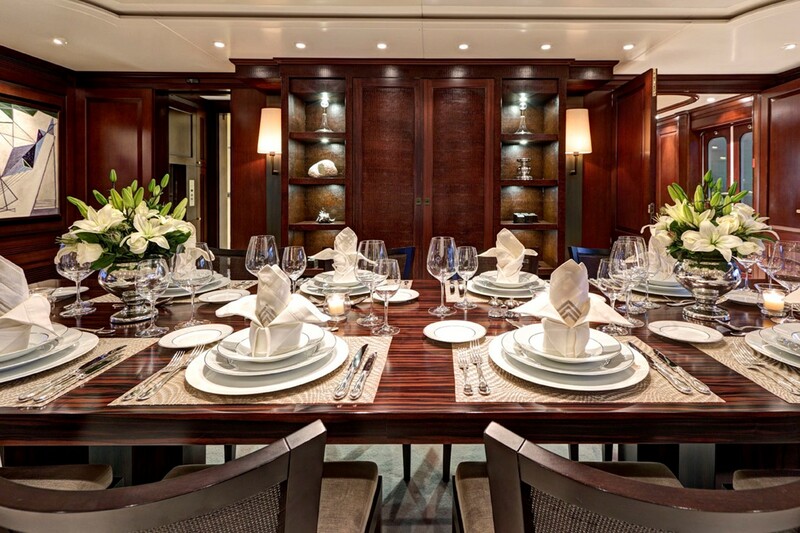 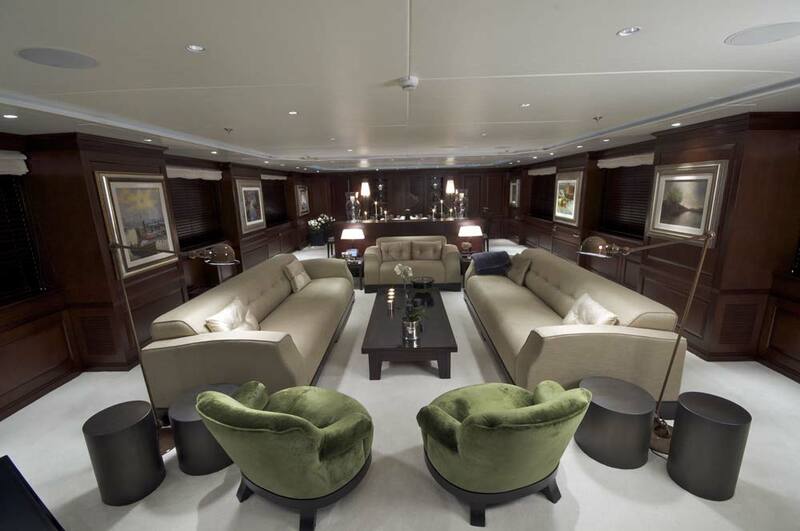 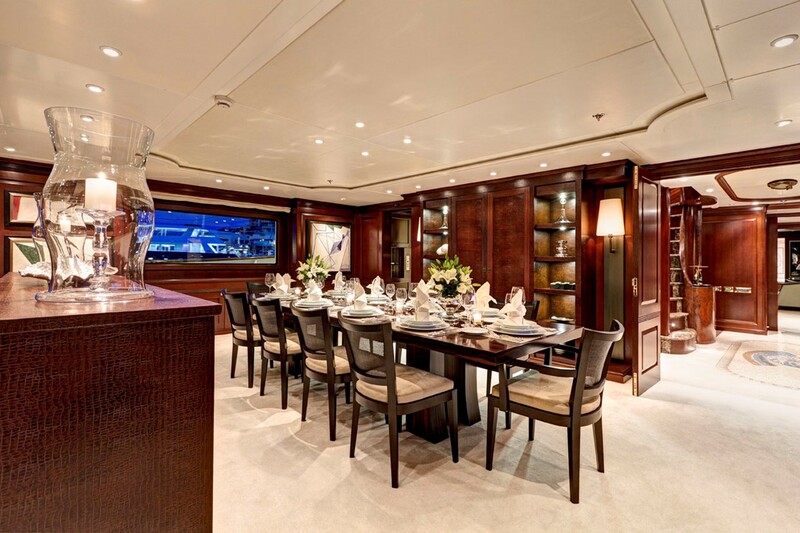 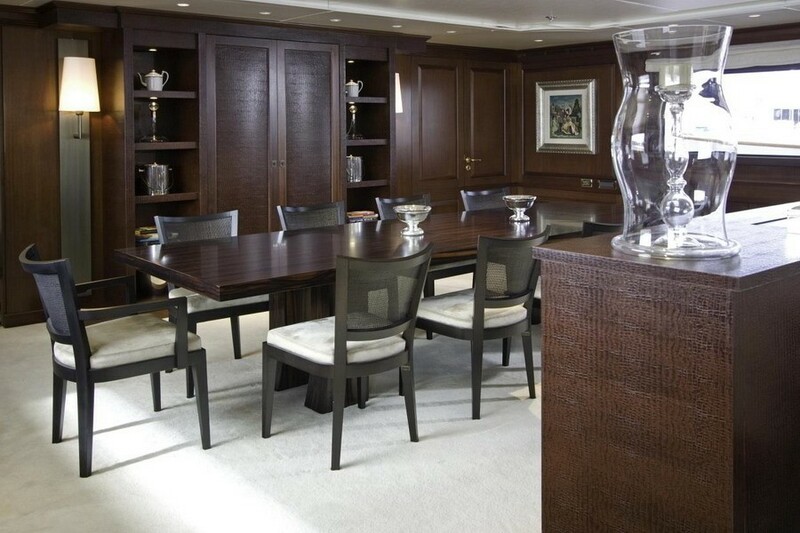 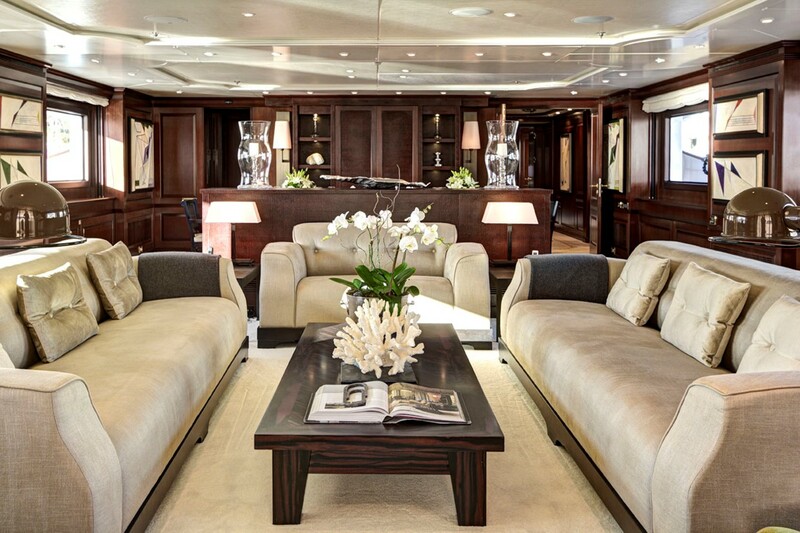 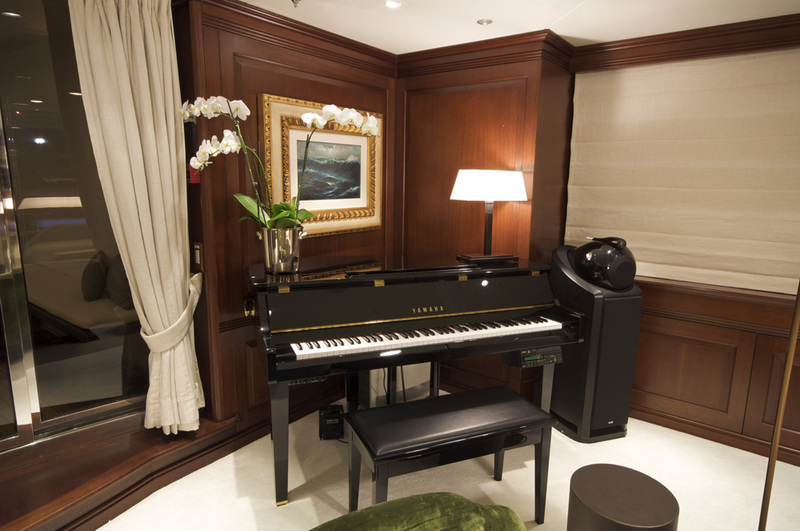 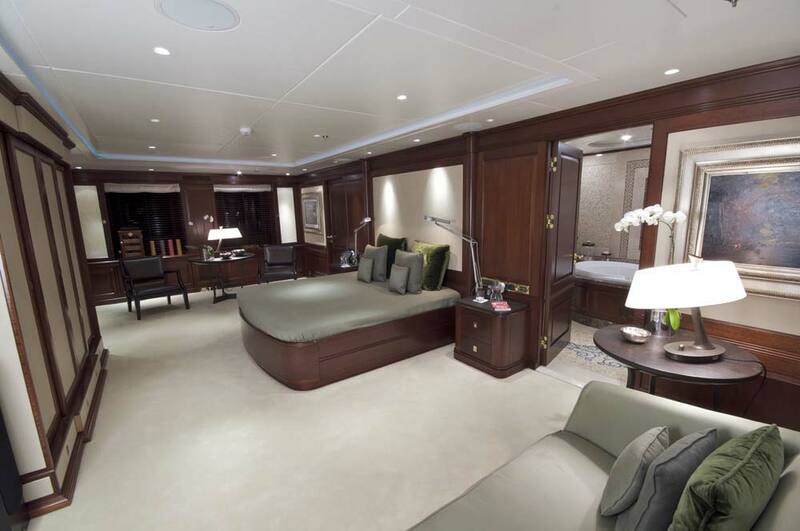 She features a contemporary interior with a main salon and dining area on the main deck as well as an upper salon with great views. 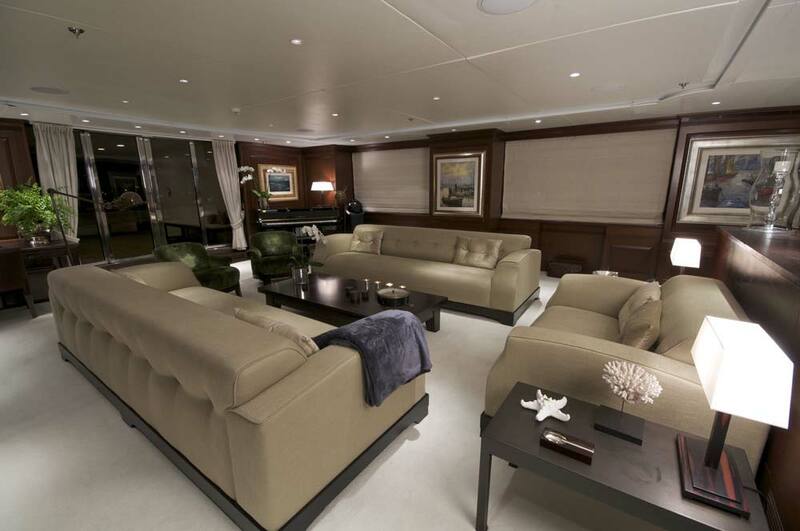 Her large windows provide bright lit interior spaces, which create a comfortbale and calm ambience. 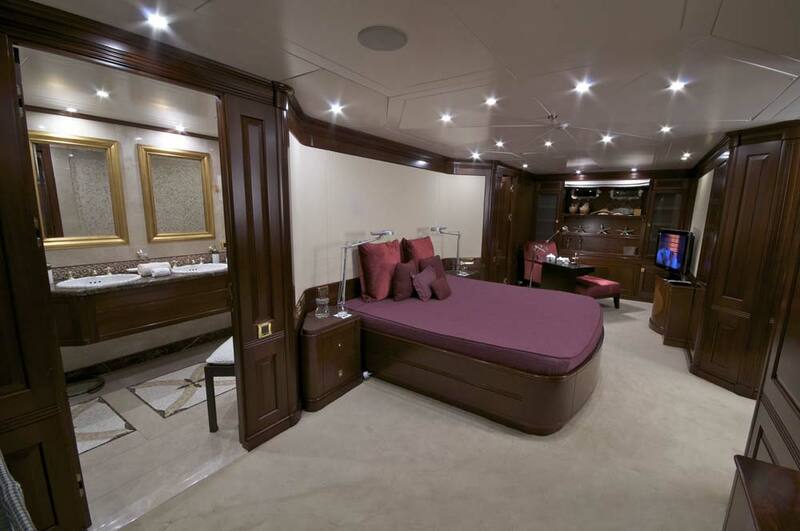 The interior is tastfully furnished, and boasts some beautiful elements of woods and lavish fabrics. 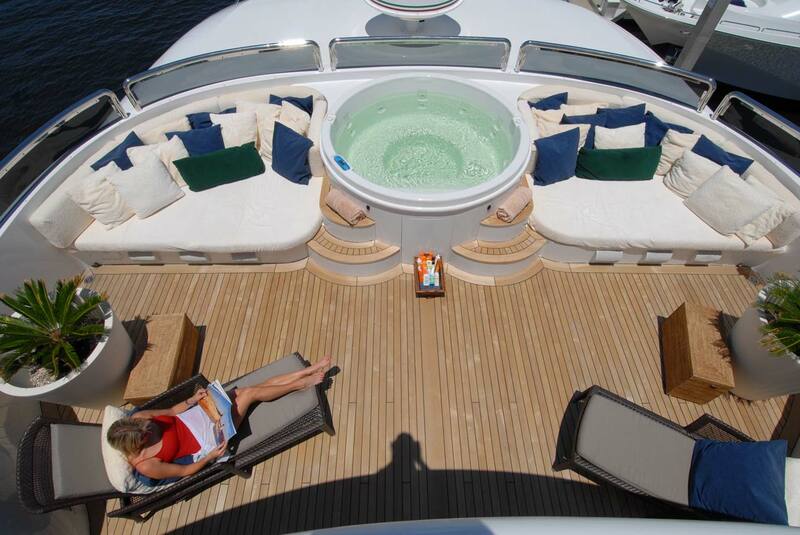 The exterior livind spaces include large sunbathing area and shaded area plus a new 6-person Spa Pool on the sundeck. 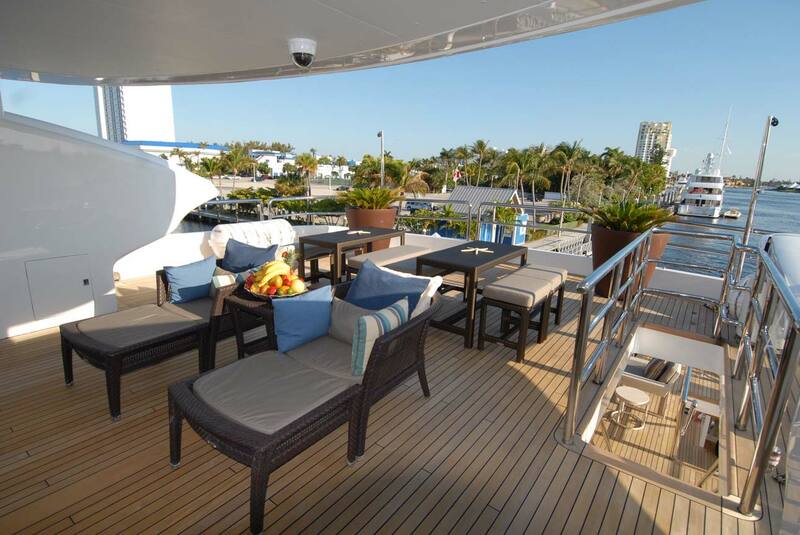 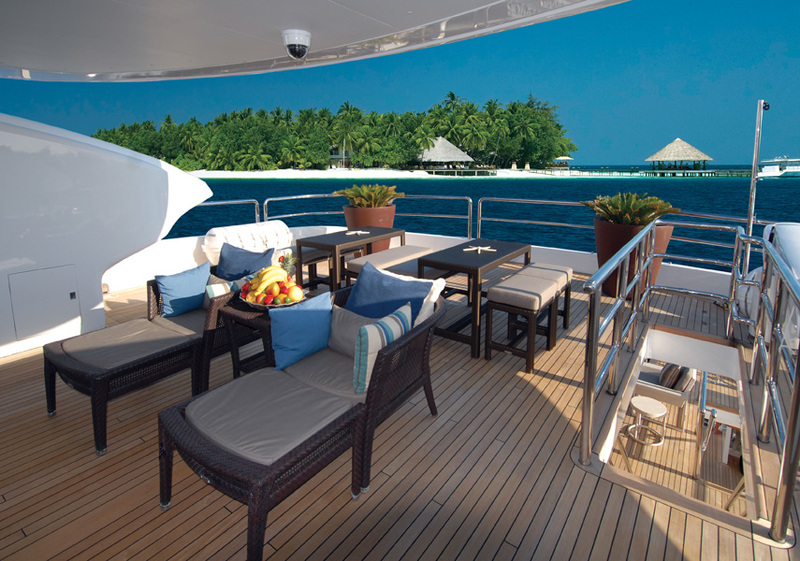 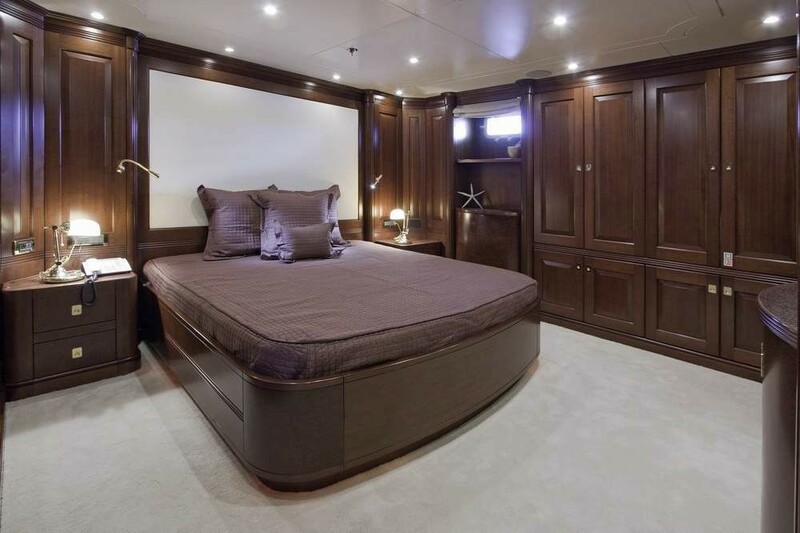 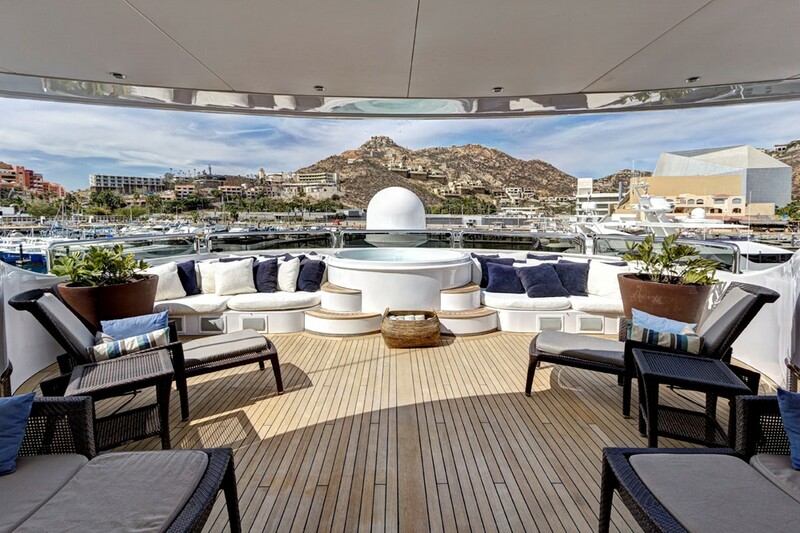 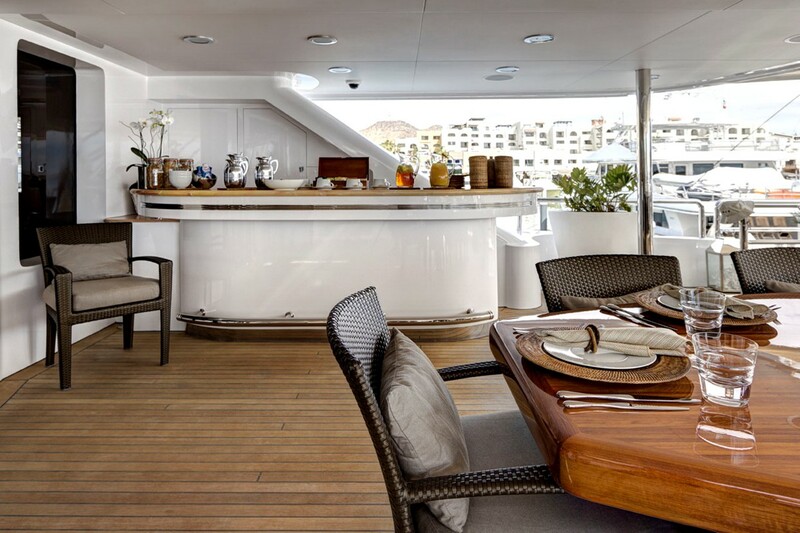 AZTECA II also has a spacious aft deck and a large upper deck with alfresco dining facilities. 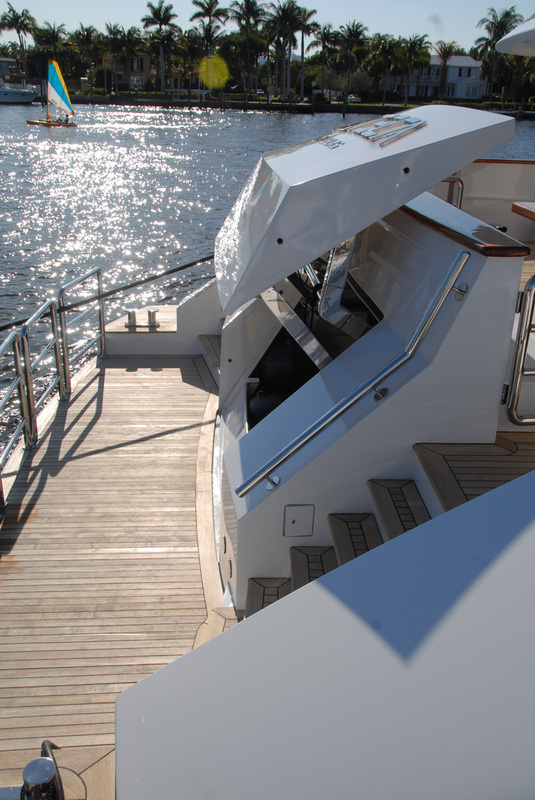 Both the Upper deck and Main deck are fitted with day heads for guest use. 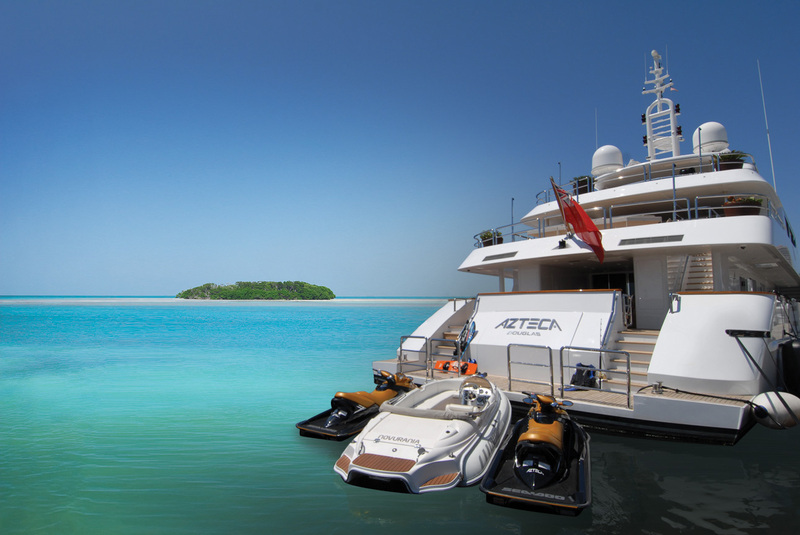 There are modern amenities, audiovisual equipment and a good selection of water sports toys onboard. 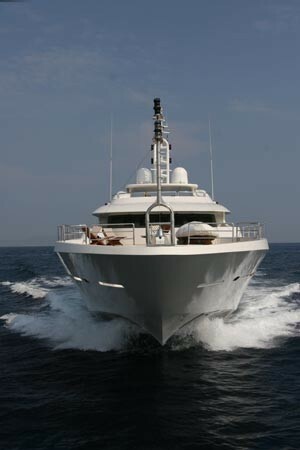 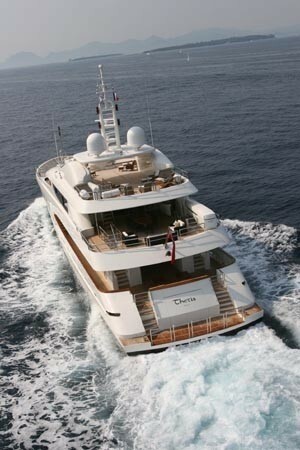 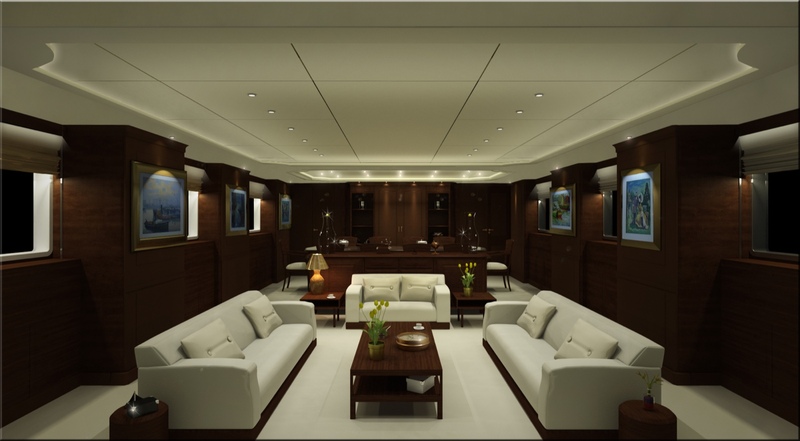 The yacht is operated by a professional crew of 12. 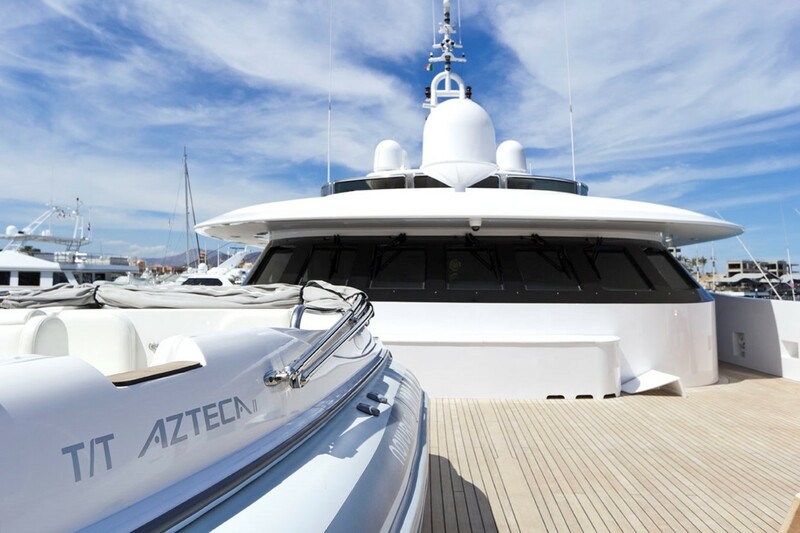 The luxury superyacht AZTECA II is built to Bureau Veritas class, and she is powered by twin Caterpillar 2,250hp 3512B diesel engines enabling her to reach a top speed of 17 knots and a range of 5,400 nautical miles at 12 knots. 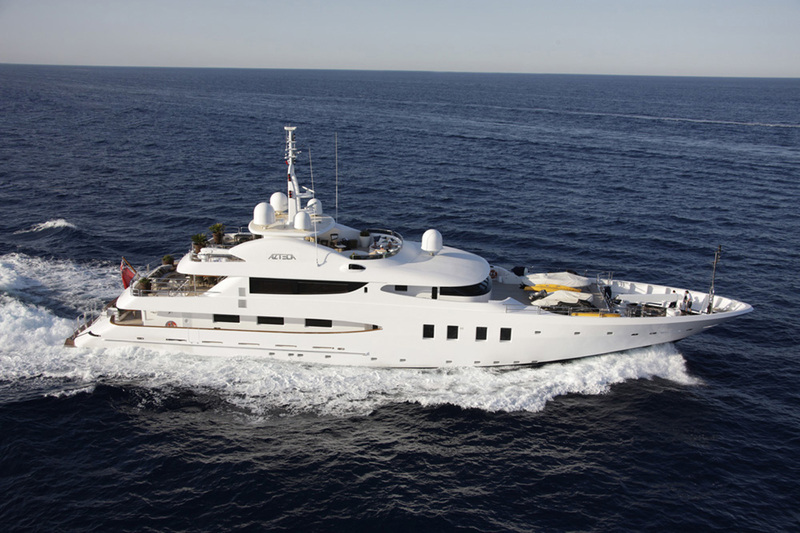 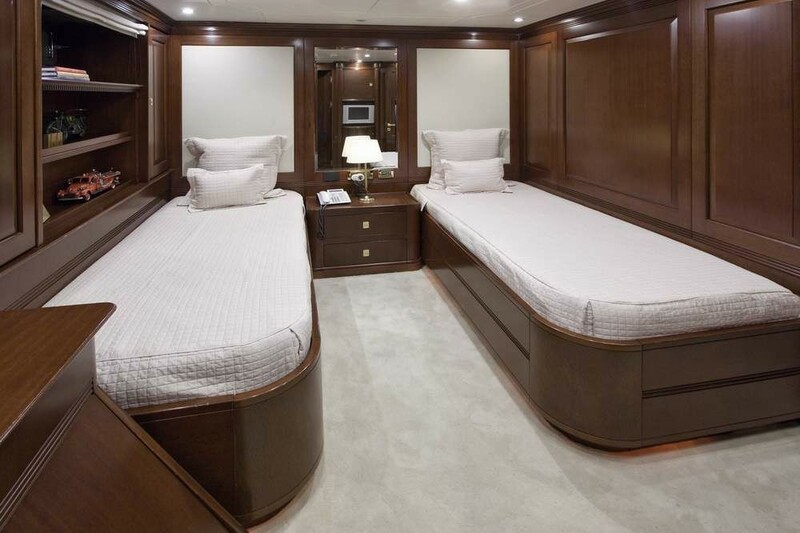 Superyacht AZTECA II is able to accommodate up to 12 guests in 6 well appointed staterooms including a Master Suite, a VIP cabin, 2 double cans and two twin cabins. 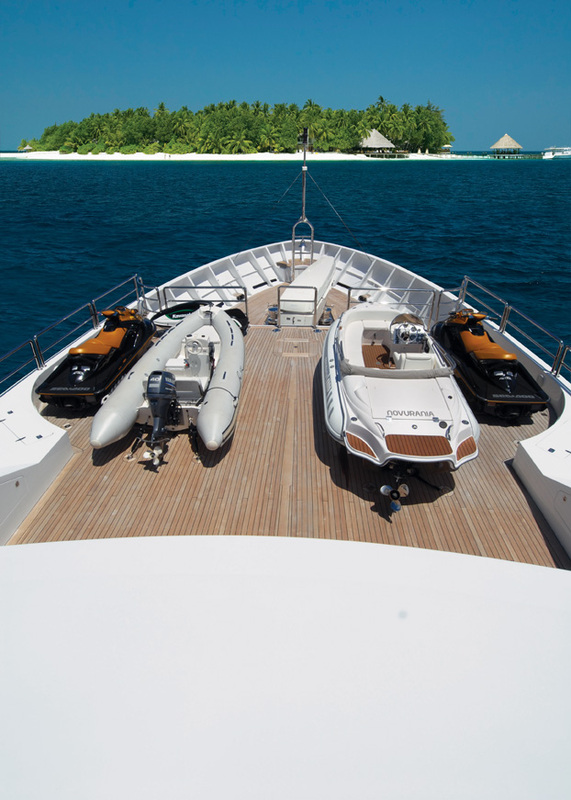 Superyacht AZTECA II has a great range of extras on board including the following Tenders & Toys: A BIMAX 10.3m tender undertow, a Novurania Equator with inboard Mercruiser turbo diesel, an Arimar rescue tender, 2 Seadoo RXT waverunners, and a Kawasaki Jetski. 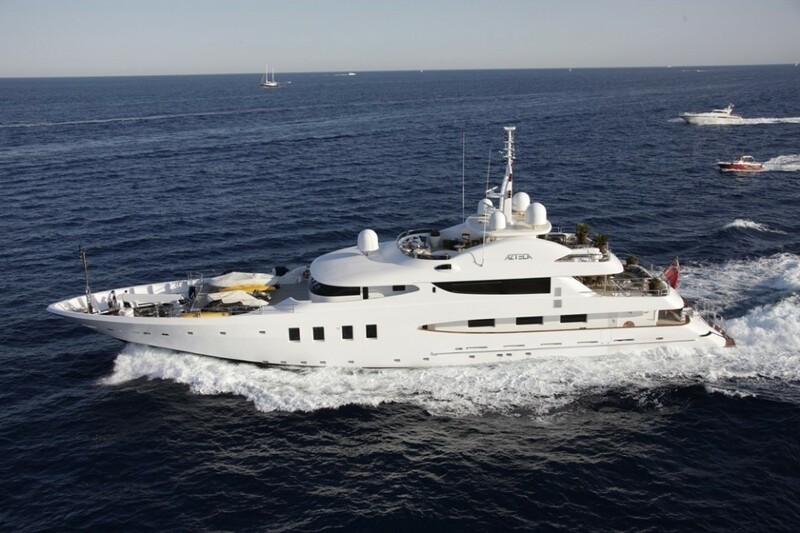 Communications include 2 Thrane and Thrane TT 3606E Inmarsat C, a Nera Fleet 77 emergency GMDSS Sat, a Nera F77 telephone system, Siemens intercom, a Skanti MF/HF TRP 1000 DSC SSB, 2 Band ARPA Simrad RA 84P radars, a Simrad AP 50 autopilot, a Simrad GN33 GPS. 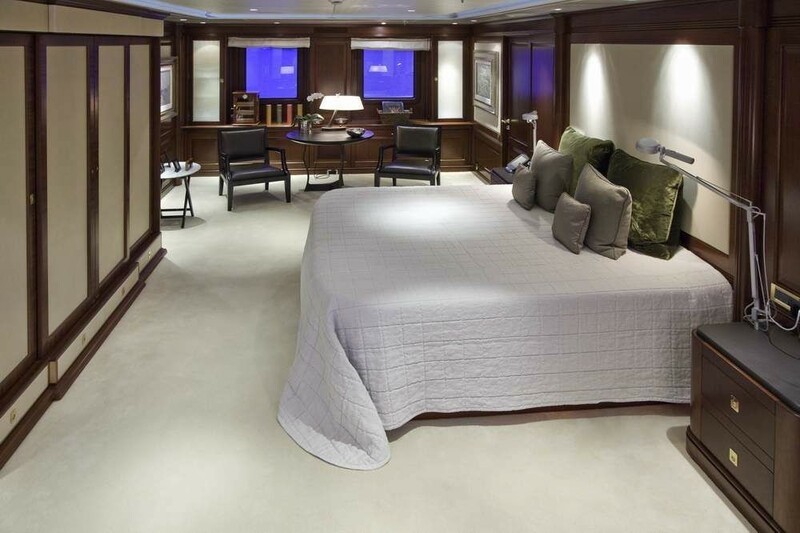 Audio Visual Equipment and Deck Facilities include an Apple TV and TVIX system in the main guest areas and Owner suite, all 5 guest cabins with TVIX, (1) Central Netgear HD., a Laser central system HD plus Escient HD. 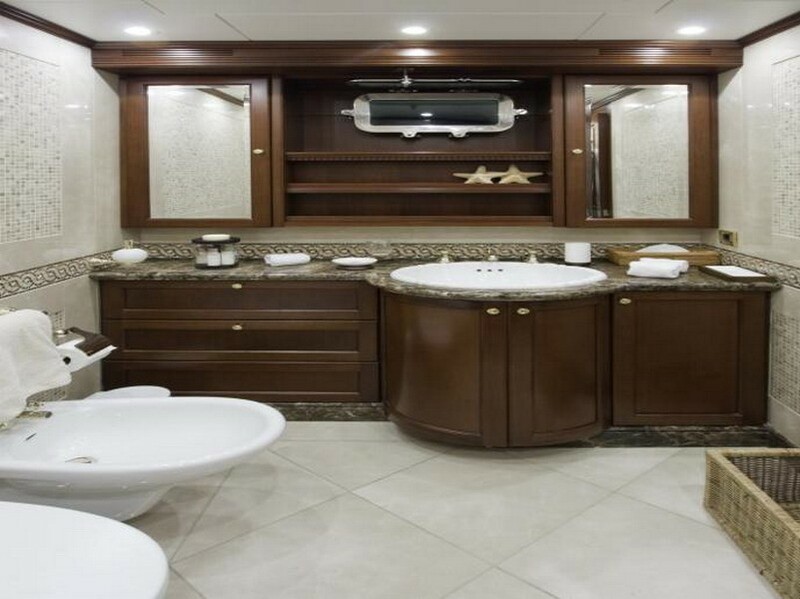 Ipod access in all cabins plus sundeck, A huge sun bathing area, and shaded area plus a new 6-person Spa Pool. 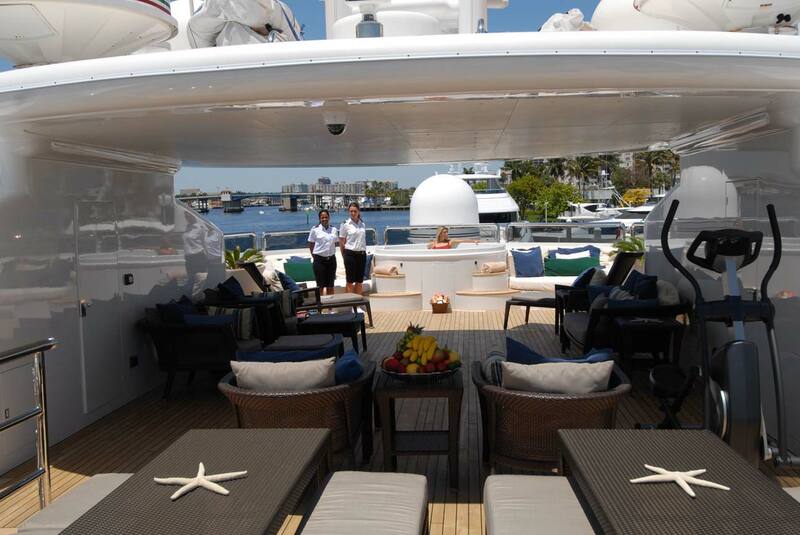 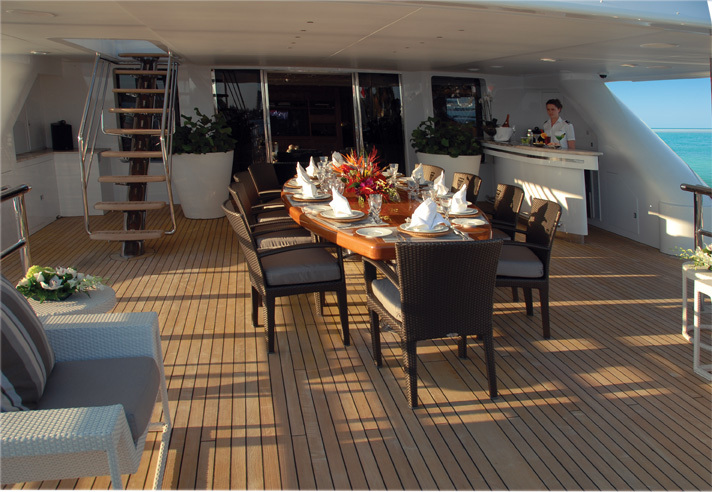 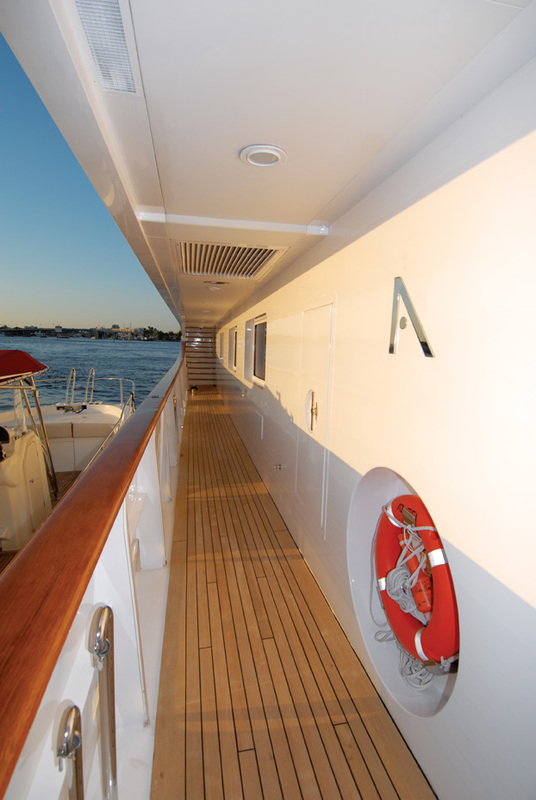 Sundeck, Upper deck and Main deck are fitted with day heads for guest use.